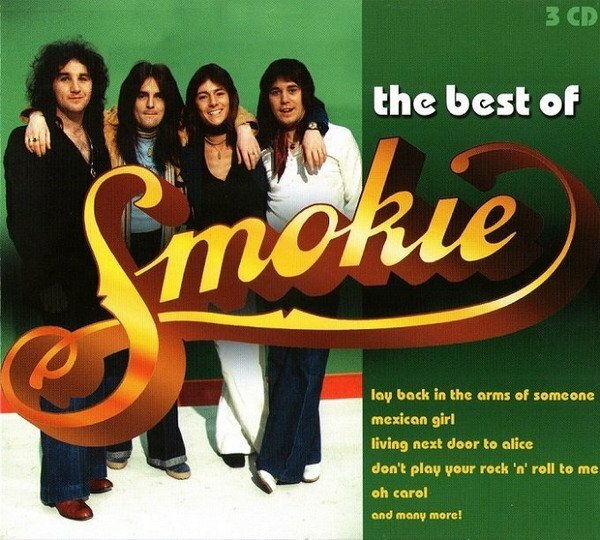 Smokie (originally spelt Smokey) are an English rock band from Bradford, Yorkshire. The band found success at home and abroad after teaming up with Mike Chapman and Nicky Chinn. They have had a number of line-up changes and were still actively touring in 2018. Among their most famous hit singles are "If You Think You Know How to Love Me", "Oh Carol", "Lay Back in the Arms of Someone", "I'll Meet You at Midnight". Their most popular hit single, "Living Next Door to Alice", peaked at No. 5 on the UK Singles Chart and, in March 1977, reached No. 25 on the Billboard Hot 100.